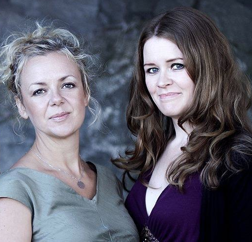 This piece was premiered at Forshaga Chamber Music Days, the 29th of July in 2008, by Duo Nova: Klara Hellgren, violin, and Terés Löf, piano. The recording above is from a rehearsal. Piano score and violin part are published by the Swedish Music Information Centre. This piece is deeply influenced by Brahms: he is present in the abundance of horn fifths in the main theme and second theme, in the incessant ambivalence between major and minor, in the obsessive use of thirds and sixths in the piano part, and in the heavily paced rythms. The Duo consists of two parts, the first is pretty slow, the second very fast. In all, it's a sonata, where the slow part forms the exposition, with its two contrasting themes, the main theme being agitated and the second lyrical, just like in a traditional sonata. The fast movement forms the development. In the recapitulation, the tempo is gradually slowed down, and eventually attains an almost complete stillness.